Our eyes are amazing, sophisticated organs that connect us in a unique way to our environments. It is estimated that around 80% of the information we take in about the world come to us through sight. While many of us today seem to use our eyes only for computer and tablet and phone screens, humans evolved, as hunters and gatherers, with vision designed for distance. Our eye muscles are most relaxed when using our distance vision. Similarly, our bodies were designed to move not sit rigidly at a desk all day. Amazingly, sitting in an unnatural positional day has consequences for our eye health as well as for the health of the rest of our bodies. Staring at your computer for long hours without a break strains places a huge strain on your eyes and your body, resulting in what is called computer eye strain. » Computer eye strain is becoming more common as more of us spend long hours on computers, tablets and phone screens each day. » Several aspects of computer use can damage the eyes in both the short- and long-term, producing symptoms like dry eyes, blurry vision and headaches. » A mixture of healthy supplements and healthy habits can help to counteract the strain and damage of long days online. People who look at screens two or more consecutive hours every day are at greatest risk of this condition. We also blink less while using computers. Blinking is key to maintaining the moisture balance of the eyes and less blinking, or incomplete blinking, means that the tear film is not distributed across the surface of the eye. Studies show that the tear film begins to become unstable and thin after only 10 seconds without complete blinking and this, in turn, causes irritation and fatigue and greatly increases the risk of developing short-term dry eye syndrome. Our eyes are surrounded by muscles that help them work effectively. Just as overuse of other muscles can result in soreness and fatigue, short term (acute) and long-lasting (chronic) overuse of our eyes result in eye fatigue which manifests as asthenopia (eye fatigue), computer eye strain, light sensitivity, dry eyes, and other conditions. Glasses or contacts, too, lock our focus into a specific range. Our eye muscles, not needing to shift for clearer focus, lose their muscle tone and flexibility and their ability to focus accurately. That’s why, even if you wear glasses, it’s good to take them off from time to time. In addition, eye strain can be related, in a circular way, to other types of muscle strain. For instance, an awkward body position leads to eye strain and this accelerates postural fatigue that, in turn, can contribute to musculoskeletal problems like a sore neck, which can make the pain of eyestrain seem worse. For computer and tablet users there is another problem: blue light. While many of us are familiar with vision damage from UVA and UVB light, fewer are aware of the damage to the retina from blue light, which is emitted by computer screens. UV light does not penetrate the retina. Blue light does. In one laboratory study in 2008 researchers split the visible light into multiple bands of 10 nm and each band was then exposed retinal cells to this different bands of light for several hours. Blue light, in the 415 nm to 455 nm spectrum, caused the maximum retinal cell death. In addition, numerous studies have shown that blue light in the evening can supress melatonin secretion and disrupt the brain’s natural sleep-wake cycles which are crucial for maintaining health and well-being. The problem is so acute that recent software updates for the iPads called “Night Shift,” subtly shifts the colour temperature of the display based on the time and location of your iPhone or iPad. The aim is to ensure the screen gives out less blue light which not only causes eye strain but has been implicated in sleep problems if you use a screen too late in the evening. It’s not just iPads and computers that produces blue light; fluorescent bulbs, including some of the energy saving ones, do too. 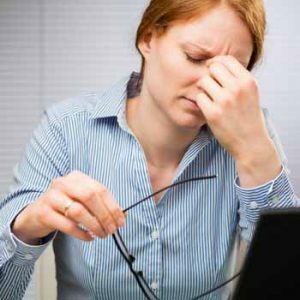 As many of us know, tiredness can make the problems of eyestrain worse. So now you know the causes what can you do about it? Bilberries Extracts from the European blueberry (Vaccinium myrtillus) can help protect against degeneration of the macula, the portion of the eye that distinguishes fine details in your vision. Bilberries are one of the most potent sources of anthocyanins, a type of bioflavonoid. In one study of 281 computer-using office workers ages 20-40 years, bilberry supplements over 8 weeks improved eye function as well as subjective symptoms of eye fatigue such as pain, heaviness and dryness. The usual dose of dried bilberries is approximately 3 tablespoons a day. To make the tea, boil 1 tablespoon (roughly 10 g) of crushed dried fruits in water for about ten minutes and then strain before drinking. In the form of an extract, take 240 to 480 mg daily standardized to 25% anthocyanosides, in divided doses. Astaxanthin is a naturally-occurring carotenoid found in algae, shrimp, lobster, crab and salmon. In humans it is a powerful antioxidant and anti-inflammatory. A number of Japanese studies show the benefit of supplementing with astaxanthin in reducing asthenopia (eye fatigue), computer eye strain and related symptoms. Doses of 5-12 mg per day seem to be the optimum range. Lutein and its companion zeaxanthin are found naturally in the eye, but levels can drop as we age. Supplements of lutein, in particular, have been show to improve the visual performance of individuals who had long-term exposure to computer monitors. The researchers looked at doses of 6mg or 12 mg per day. The higher dose seemed to produce better results in terms of improvement in sensitivity to visual contrast. 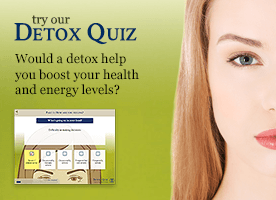 In another study a daily supplement containing blackcurrant fruit extract (200 mg), lutein (5 mg), and zeaxanthin (1 mg), was shown to help relieve the symptoms computer eye strain. Get more omega 3s Research on the benefits of omega-3s for computer eye strain is not entirely conclusive. However, in one study people who had been using a computer for at least 3 hours a day for at least a year were divided into two groups. One was given capsules containing olive oil (considered a placebo), the other capsules containing 180mg EPA and 120mg DHA. After 3 months there was a distinct difference in the test scores demonstrating that supplemental omega-3s are helpful for dry eye symptoms that result from computer eye strain. Try amber coloured glasses You can now buy computer glasses with amber coloured lenses that block the blue light from your computer and other devices. Apart from protecting your retina from blue light damage, they have been shown to relieve fatigue, dry eyes and headaches are symptoms of spending too much time in front of a digital screen. As a bonus, people who wear amber coloured lenses have been shown to experience major improvements in both sleep quality and mood and they have also been shown to improve sleep in shift workers, when they put them on before bedtime. Blink more often Blinking produces tears that moisten and refresh your eyes. Try to make it a habit of blinking more often when looking at a computer or device screen. Watch your posture If you sit at a desk for long periods it’s easy to start slumping. Instead, try to tuck your chin in and slightly curve your neck rather than leaning forward. Keep your upper back fairly straight with only a slight roundedness. Hollow your low back — but not to the point where you feel a strain. Take eye breaks Throughout the day, give your eyes a break by looking away from your monitor. Remember the 20-20-20 rule: Every 20 minutes, look at something 20 feet away for at least 20 seconds. Check the lighting Bright lighting and too much glare can strain your eyes and after a while make it difficult to focus. The worst problems come from sources of light above or behind you, including fluorescent lighting and even bright sunlight. Consider turning off some or all of the overhead lights. If you need light for writing or reading, use an adjustable desk lamp instead. Adjust your monitor Position your monitor directly in front of you about an arm’s length away so that the top of the screen is at or just below eye level. It helps to have a chair you can adjust too. Try using an anti-glare cover over your screen. Keep your screens clean Wipe the dust from your computer screen regularly. Dust lowers contrast and contributes to glare and reflection problems.